And you'll see how to lay the foundation for broader organizational buy-in using business context to demonstrate the impact of your performance initiatives. 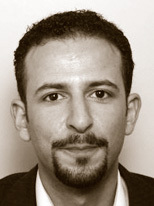 Hakim el Fartasi is a Business service management consultant at Philips Electronics Nederland B.V. in Eindhoven, the Netherlands. He started in 2008 as Service delivery manager Online B2C. During this time he defined the Online monitoring service, made it a business priority and helped setup several online improvement projects. He also introduced Keynote mobile web performance monitoring into the organization. Setting up internal reporting services and related support processes.